November 9, 2017 Beauty, CVS, Hauls Post may contain affiliate links, Disclosure here. 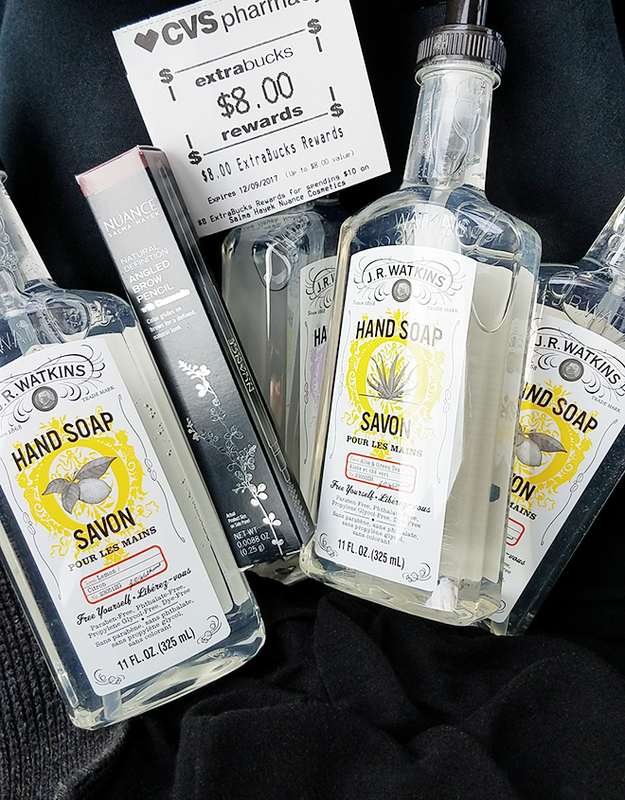 Such a very small haul this week but I found JR Watkins hand soap on clearance at CVS. I’m happy because I totally missed out on the Softsoap deal at Target. The deal was buy three get $5 gift card, making each 8oz soap $0.32 each! I had $8 extrabucks to play with this week.